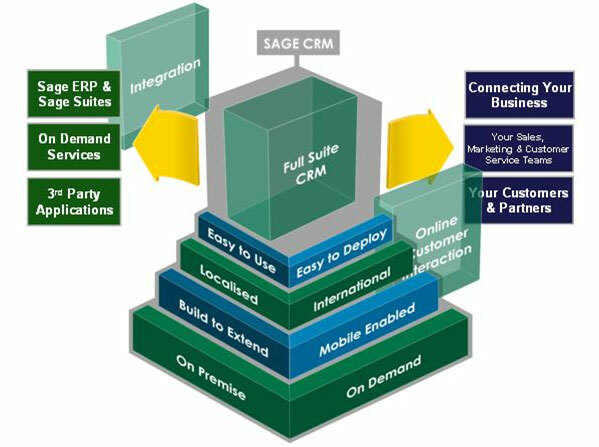 SageCRM is an easy-to-use, fast-to-deploy on-site CRM solution with out-of-the-box but configurable business processes. It provides enterprise-wide access to vital customer information -anytime, anywhere- so you can manage your business with an integrated approach to inside and field sales automation, customer care, and marketing. 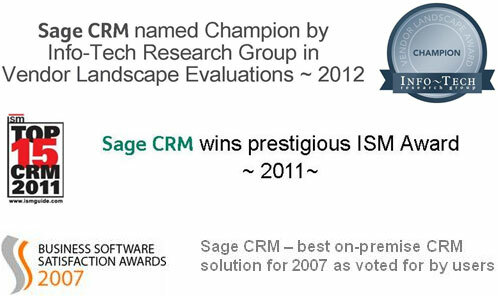 Manage and track every element of your campaigns with SageCRM. View activities, objectives, leads generated, and lead follow-up, and drill down to specific activities within a campaign. This user-friendly CRM solution provides you an in-depth view of your campaigns and enables you to eliminate the guesswork and put your company's marketing resources to their best use.